The International House of Pancakes (IHOP) announced over the weekend that they would change their name to Internation House of Burgers (IHOB). At first, when I heard this, I thought, "This will be one of the biggest marketing blunders of all time." In fact, this blog was going to be about one's lack of wisdom. 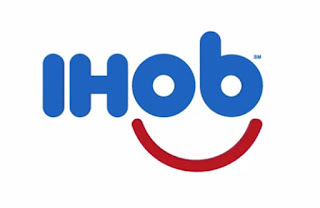 What marketing person fell out of his chair, hit is head on a trashcan, and while laying in the floor wondering what happened to him thought, "Let's rename IHOP - IHOB". This would be a great example of how one cannot have wisdom if they don't possess the knowledge to be wise with. If you want to be a wiser follower of Jesus, you need to grow in the grace and knowledge of Him. But it's all a publicity stunt, and it's a good one at that. All IHOP was trying to do is to get you to notice that they something other than pancakes. Nice job IHOP. I suppose that the old saying, "No harm, no foul" can be used here. But think about this for a moment. You and I live in a world that celebrates the "stupid" things people do and despises the actions of the wise. Proverbs 10:23 Doing wrong is like a joke to a fool, but wisdom is pleasure to a man of understanding. Always celebrate wisdom. Surround yourself with wise people. Seek wisdom for yourself. If you go to IHOP - order the pancakes. Just trust me on that one.